There has been talk that the superhero movie bubble will burst at some point, but movies like Deadpool and Logan have opened a new door for studios to explore. More R-rated superhero movies are going to be coming thanks to the success of those two blockbusters. But Marvel Studios isn't going to be jumping on that bandwagon anytime soon. That said, Marvel Studios President Kevin Feige does feel there are some important lessons to be learned from the success of movies like Deadpool. Kevin Feige spoke with The Hollywood Reporter during a recent visit to the Marvel offices in California. During the visit, the man in charge of the MCU spoke a bit about movies like Logan and Deadpool and suggested that, even though Marvel Studios won't be exploring R-rated movies, there are things they can learn from what those movies were able to accomplish. Here is what he had to say about it. "My takeaway from both of those films is not the R rating; it's the risk they took, the chances they took, the creative boundaries that they pushed. That should be the takeaway for everyone." Ever since Deadpool rocketed to major success last year, there has been a lot of talk from various studios about doing other R-rated comic book movies. The thinking seems to be that doing these projects as R-rated movies is what helps spell success. However, Kevin Feige is suggesting that may be the wrong lesson. It is more about the creativity expressed and the willingness to explore different types of stories within the confines of a comic book/superhero movie. Simply slapping an R-rating on something and adding a little blood and cursing isn't enough to make something successful and aren't the key elements that make something like Logan work. Or, so seems to be the implication in what Kevin Feige says here. Disney CEO Bob Iger has also said that they have no plans on making R-rated superhero movies in the future. And why would they? Marvel Studios has had consistent success with PG-13 comic book movies and they are showing no signs of slowing down. Fox, on the other hand, has had mixed results with their X-Men movies and taking a risk on something like Deadpool made sense for them. Sony also doesn't have a lot to lose with something like the R-rated Venom movie they are planning. 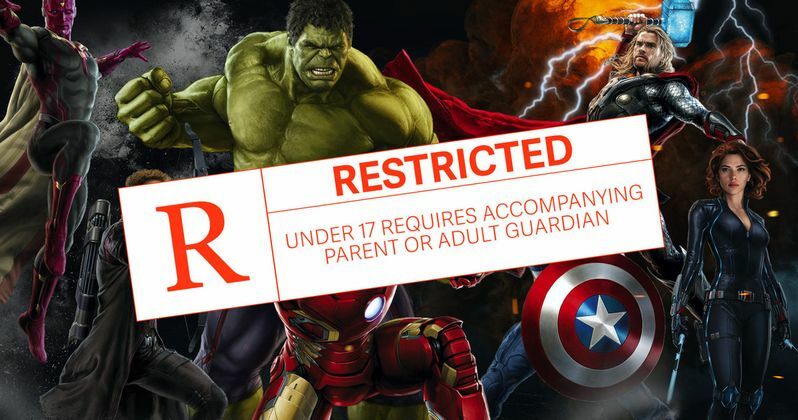 Marvel studios has set a very specific tone for the MCU and there doesn't seem to be any logical room for an R-rated movie within that universe. Also, if it isn't broke, don't fix it. And right now, the MCU isn't even close to broken. It is a well-oiled, money making machine. Next up for the studio will be Guardians of the Galaxy Vol. 2, which debuts on May 5 and already has a ton of positive buzz going for it. That will be followed not long after by Spider-Man: Homecoming on July 7, marking Tom Holland's first solo movie as Spidey in the MCU. Then, later this year on November 3, we will be getting Thor: Ragnarok, which looks like it may finally be the solo Thor movie we have all been waiting for. None of these movies are going to be R-rated, but that is not to say they still weren't able to learn a thing or two from Deadpool.